The Tarett rear sway bar for the MINI are true splined NASCAR bars, fabricated from aircraft quality and heat treated 4130 chrome moly steel to maximize strength and reliability. 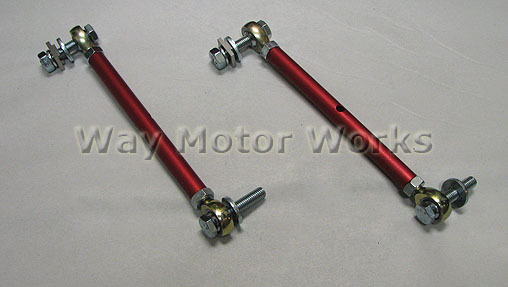 These sway bars have the largest range of adjustment to allow for use on all MINIs from a stock car to full race MINI. The Tarett sway bar allows the MINI owner to optimize the geometry for bind free operation through the entire range of suspension travel. The Tarett rear sway bar is a 3 piece design that allows for easy installation without needing to drop the rear sub-frame. 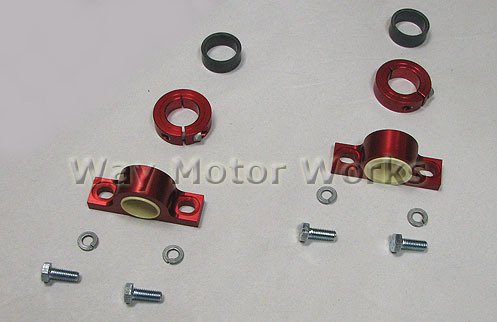 Adjustable end links are included to increase the value of this sway bar kit. The Tarett sway bar comes with bearing mounting blocks, drop links, sway bar arms CNC machined from 6061-T6 aluminum for high strength to weight ratio. The bearing blocks have thermoplastic bushings that are impregnated with Teflon and reinforced with Kevlar to provide smooth operation, longer life, and very high resistance to deflecting under heavy loads. The rod ends for mounting the tarett sway bar are teflon lined for long life, smooth operation, and reliability. The end links have left and right hand threads to allow easy drop link length adjustment to eliminate sway bar preload. 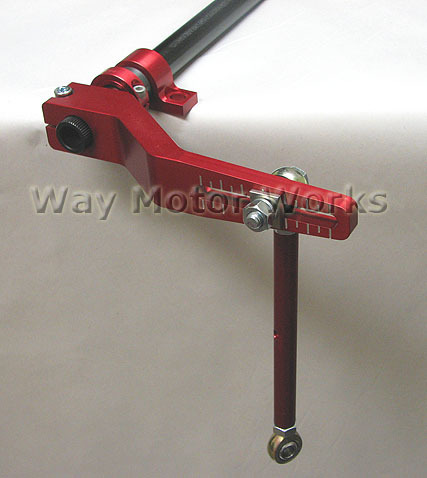 The adjustable drop link (end link) arm connection design allows an infinitely adjustable sway bar stiffness rate and allowing you to make changes for your MINI's handling for different driving styles and track conditions. Tarett Sway bar kit comes complete with all the above and mounting hardware ready to install.